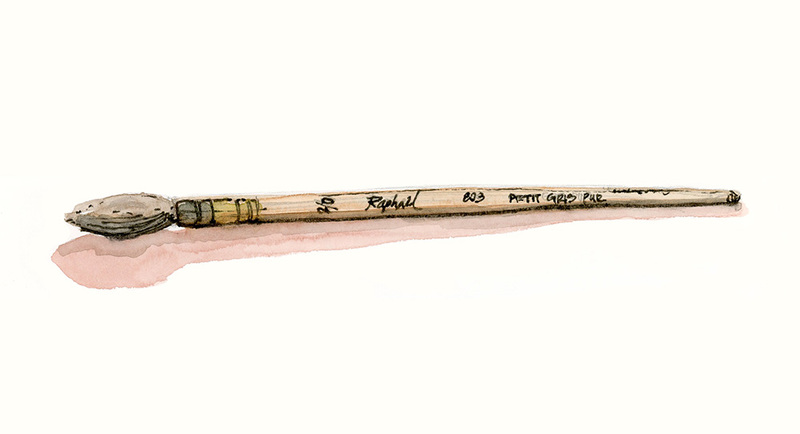 I bought this lovely paintbrush from Pearl Paint on Canal Street in New York City. It features soft and strong squirrel hair and is hand tied and finished with wire. Gary and I had gone there in October of 2010 during our Canadian Thanksgiving weekend / U.S. Columbus Day weekend for a long overdue vacation.